I discovered very early on that Jen and I both love lamb chops. 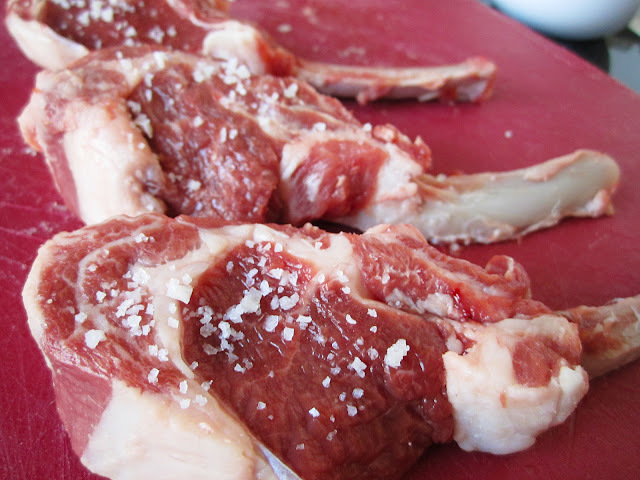 Lamb is such an excellent meat - succulent flavor, soft and buttery, and goes with so many things. Lamb chops are the pinnacle of elegant dining meats if you ask me (debatable I guess) and the best way to serve them is Frenched. 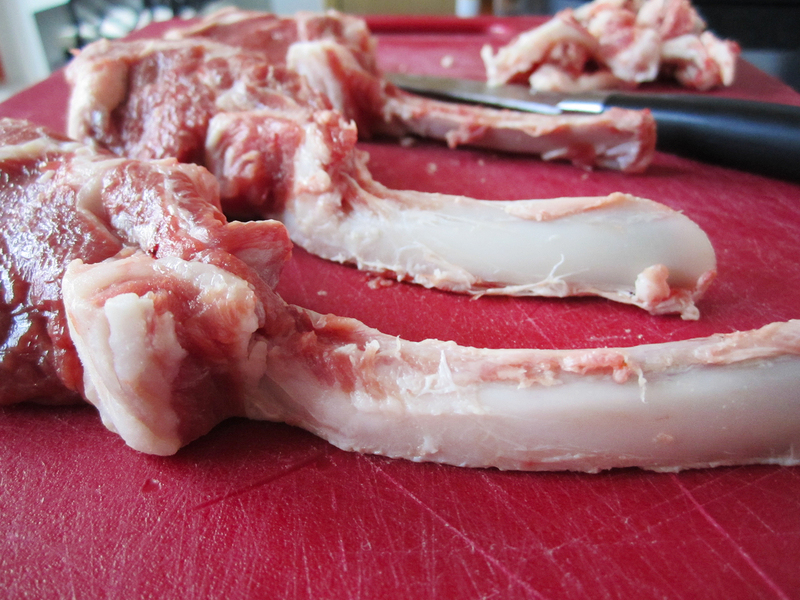 Frenched chops simply means that the meat and fat around the rib bone has been removed. It's pretty simple to do with a little practice but it makes a ton of difference in the presentation. 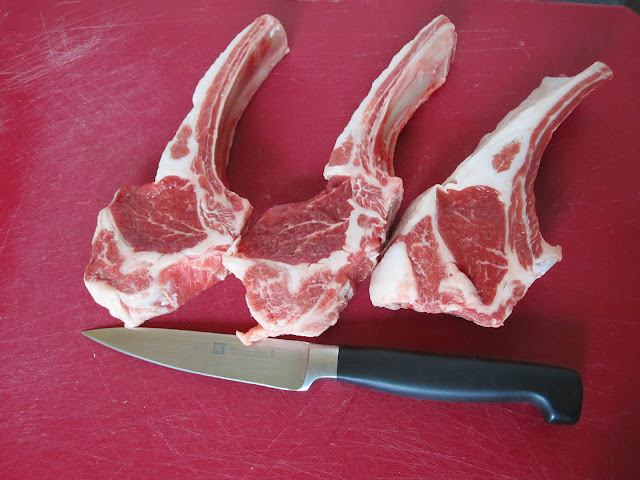 The reason its good to learn is that you can buy pre-Frenched chops but they will cost you at least 25% more. The only time that I recommend having them pre-Frenched is if you buy a whole rack, simply because it is more complicated to do. Start with your chops on a poly cutting board. Using a sharp paring knife, begin to scrape the meat from the base, right where the chop widens into the meat. If you scrape with the sharp edge dragging at a 30 degree angle, by the time you are about 1/2" or 3/4" up the rib, you should be able to peel the rest off because of the muscle layer that runs along the rib. Clean them off as best possible. If you want them really clean, you can use a variety of DIY methods including a clean steel sponge or brush or just continue to scrape more. Don't tease us.. post the rest of the recipe! That sauce looks so delicious I think I could eat it out of that cup! 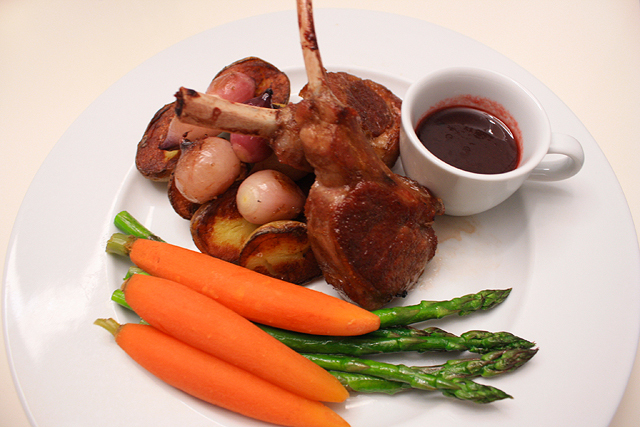 The sauce is a merlot and blackberry and really it's simpler to make than you would think. I'll post it formally soon!